Peace Fellowship has begun a formal search process for our next pastor to guide our ministry and discipleship in Deanwood. 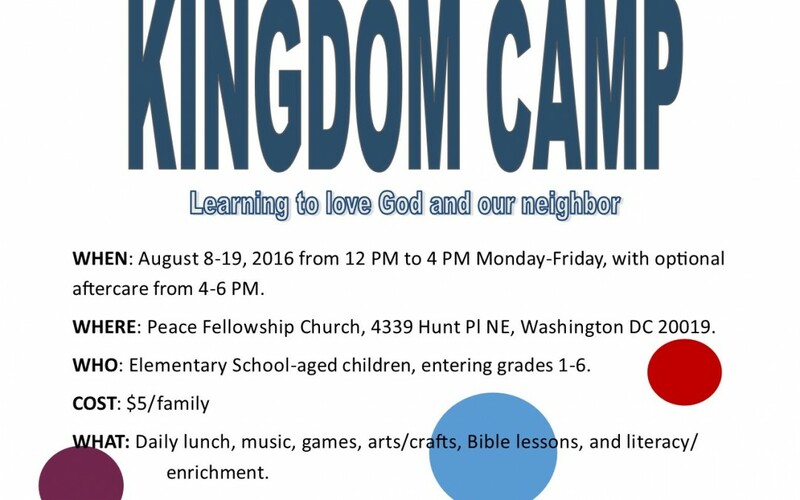 Register for Kingdom Camp Now! Peace Fellowship is hiring several ministry interns for a 2 week program, August 8-19. Interns will assist in running a day camp program for children from the neighborhood and participate in spiritual formation each day. Youth ages 16-24 are eligible for the opportunity, with priority given to current Peace youth and applicants from Deanwood. You may download the whole application here.